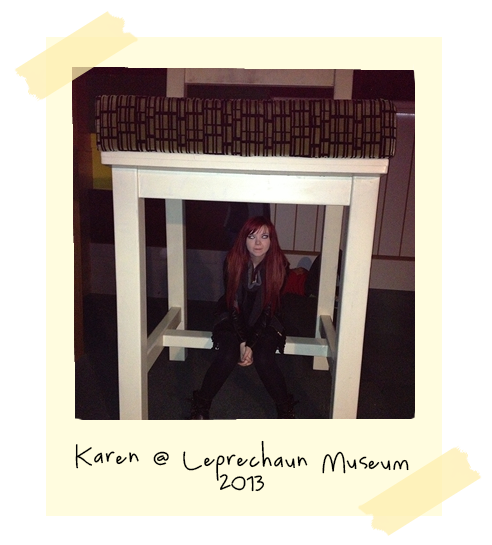 This pic was taken at the Leprechaun Museum in Dublin. I wanted to go for ages, but it was actually awful. 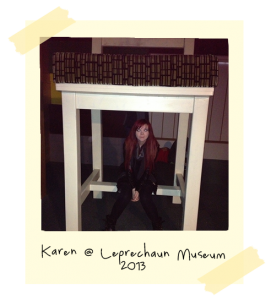 WE still had fun though, but I think the tour guide didn’t like me. By the end of the tour, people were looking at me every time the tour guide said something, silently asking, is that really what happened?